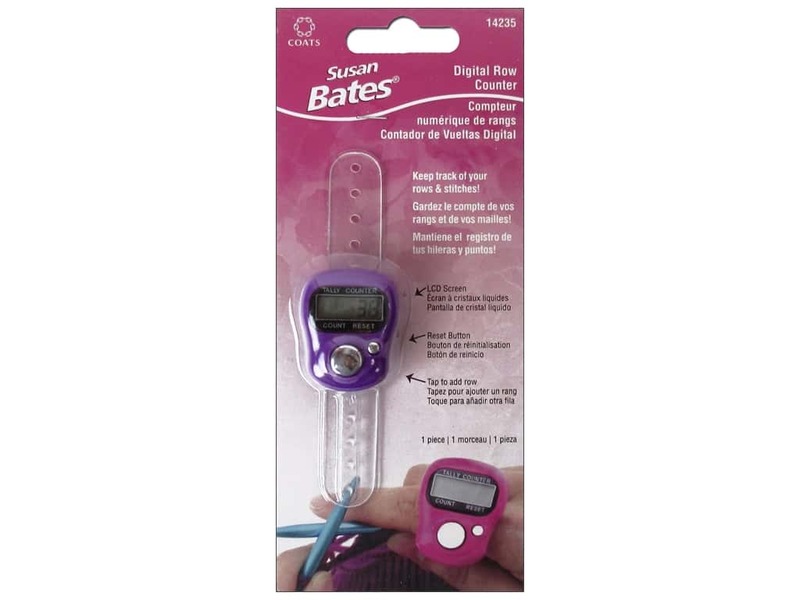 Description: With Susan Bates Digital Row Counter you won't lose your place while knitting as long as you can keep track of your rows and stitches with this digital counter, with a soft adjustable strap that allows you to wear it on a finger just like a ring. Has an LED display, button to press for adding rows, and a button to reset the count back to 0. Soft adjustable strap. Susan Bates Digital Row Counter -- CreateForLess 5.00 out of 5 based on 1 ratings. 1 user reviews.